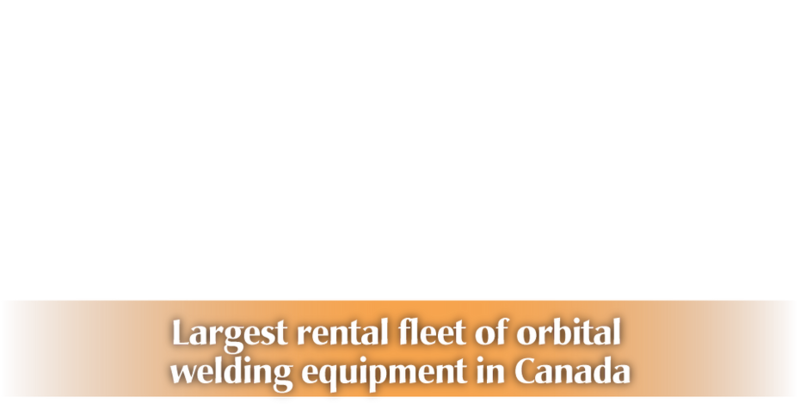 Orbital Welding Edmonton | Home | John W. Page Welding Consulting Ltd.
Orbital Welding Equipment from John W. Page Welding Consulting Ltd.
John W. Page Welding Consulting Ltd. has Canada’s largest rental fleet of orbital GTAW and FCAW systems, featuring all Magnatech Orbital Welding Systems. The capabilities of these systems range from 1/8” tubes to unlimited pipe or vessel diameters, including linear welds or overlay / build-up orbital welding. John W. Page has knowledge built from over 30 years of experience, including training and field experience as an automatic orbital welding technician in oil sands, refineries, chemical plants, cross country and super-heated steam pipelines, including stainless pipelines. We are 100% Canadian owned and operated, based in Edmonton and serving customers across Western Canada with the right equipment, expertise, training and supervision to ensure success. John W. Page Welding Consulting Ltd. has trained hundreds of boilermakers and pipefitter welders to operate our equipment successfully for the client and contractor. Our experienced technicians provide training and supervision throughout the project, and maintain our equipment from our extensive tool crib inventory. Schedule your consultation today. We routinely work with the following innovative Magnatech products. Follow the links to learn more.